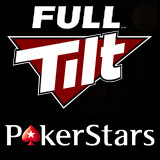 Full Tilt Poker to Merge with PokerStars on 1st April and it's no April fools joke, Amaya has made the decision to merge the two platforms into one player pool. The merger makes perfect sense for the company from a business point of view making it easier to run as a single entity sharing the same games and promotions. 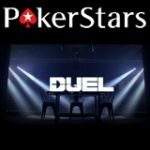 Full Tilt Poker and PokerStars will still be separate software downloads but they will share the same network, poker games, players and promos. Players signed up on both sites will benefit from the merging of the software. Full Tilt Poker recently dropped out of the list of top 10 poker sites in the World. 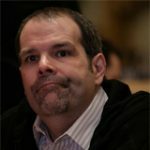 Amaya has battled to restore Full Tilt Poker to it's former glory most probably due to the bad reputation the poker site gained after Black Friday. The Full Tilt Poker/PokerStars merger will save the brand from it's poor poker traffic as PokerStars players will join the same player pool. 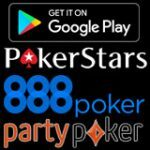 The bonus of the merger for the players is that they will only need one player account to login to any of the Amaya brands: PokerStars, Full Tilt, BetStars & StarsDraft. There will be no major change for the players excepting that FullTilt will now have thousands of players sharing the network. The bonus of the merger for Amaya is that they will only need one customer support system and offer the same promotions, tournaments and poker games. Instead of being split into two separate division require almost twice the amount of staff to operate. The merger will save FullTilt from extinction as it has currently dropped off the list of top 10 poker sites on PokerScout.com and it will restore the statistics of poker traffic. 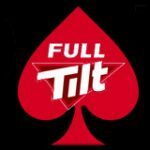 Players who still prefer the playing on the Fulltilt software over PokerStars software will benefit the most and it will remind them of how awesome FullTiltPoker was prior to Black Friday in terms of traffic. 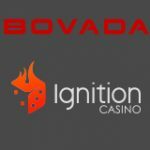 The Full Tilt merger with PokerStars may upset some players but at the end of the day it's the best business decision that Amaya has made to date, the merger should probably have happened shortly after the Amaya takeover of PokerStars and Fulltilt. 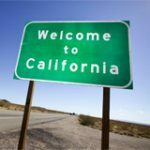 To date neither brands have managed to re-enter the regulated USA poker market but it's expected to happen at some point possibly in 2016, as they are no longer being penalized for the bad actor clause.